It’s almost time for the 2016 ALA Annual Conference! This year’s conference will be held on June 23-28, in sunny Orlando. With hundreds of speakers, sessions, exhibits, and events, it can be hard to know where to go, especially for new members. In the wake of this week’s shocking tragedy in Orlando, we are all reminded yet again of the grave importance and urgency of creating and nurturing a culture of inclusiveness and respect in the world. What Is Your Hot Topic for #ALAAC16? ALSC and the Grants Administration Committee are now accepting online applications for the 2016 Penguin Young Readers Group Awards. 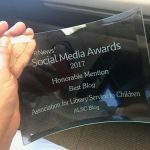 This award, made possible by an annual gift from Penguin Young Readers Group, provides a $600 stipend for up to four children’s librarians to attend their first ALA Annual Conference in Orlando. Each applicant will be judged on the following: Involvement in ALSC, as well as any other professional or educational association of which the applicant was a member, officer, chairman, etc. ; New programs or innovations started by the applicants at the library in which he/she works; Library experience. Applicants must be personal members of ALSC, as well as ALA members to apply. Deadline for submissions is Thursday, October 1, 2015. For more information about the award requirements and submitting the online application please visit the Penguin Young Readers Group Award Web page. Present with ALSC at an Upcoming Conference!